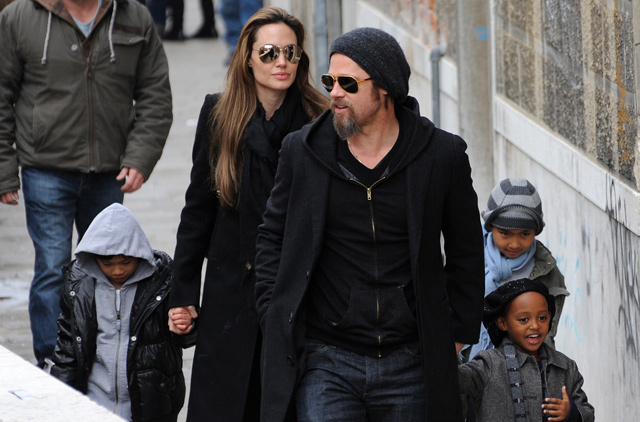 The likes of Angelina Jolie, Sandra Bullock and Charlize Theron are becoming the public faces of interracial adoption, with Ange saying of her brood, “There’s something about making a choice, waking up and travelling somewhere and finding your family,” but instances of celebrities adopting outside of their ethnicity, culture and nationality have been around for decades. But for every Katherine Heigl who has spoken openly about interracial adoption, there are many Hollywood families who have flown under the radar when it comes to their own adoptions. Scottish actor Ewan McGregor who, along with his French wife, former make-up artist Eve Mavrakis, are now the proud parents of four girls – two of whom are adopted. – with the little girl believed to have been adopted from abroad. allow,” he says of the tight-knit family. “Sometimes we uproot them and put them in another school.” And Michelle Pfeiffer has kept African-American daughter Claudia Rose, who she adopted along with husband David Kelley back in 1993, out of the spotlight until recently, with the 18-year-old joining her mother at the red carpet premiere of Dark Shadows. Grammy winner Alicia Keys admits to having been influenced by Angelina Jolie when it comes to thoughts of expanding her family. “Adoption is something that is important to consider. That’s what I really admire about Angelina. I think it’s beautiful the way she embraces children of the world,” said the mum to biological son Egypt. “We are all one. We’re not as separate as we think.” And although stars have been adopting children of different races and backgrounds for years, with African-Americans Lionel Richie and his then-wife Brenda adopting white-Latina Nicole Richie in 1990 when she was nine, it was Angelina Jolie’s declaration that she wanted “to create a rainbow family” that brought interracial adoption more into the public eye. Hugh Jackman has admitted that the race of his two adopted children, Oscar and Ava, was a “deliberate” decision, after he and his wife Debora discovered that agencies struggled to place mixed-race children with adoptive families. But welcoming a child from a different nation into a family isn’t just confined to babies, with British Love Actually actress Emma Thompson adopting Rwandan refugee and former child-soldier Tindyebwa Agaba when he was in his late teens.